» Blog - 2/99 - Smock. 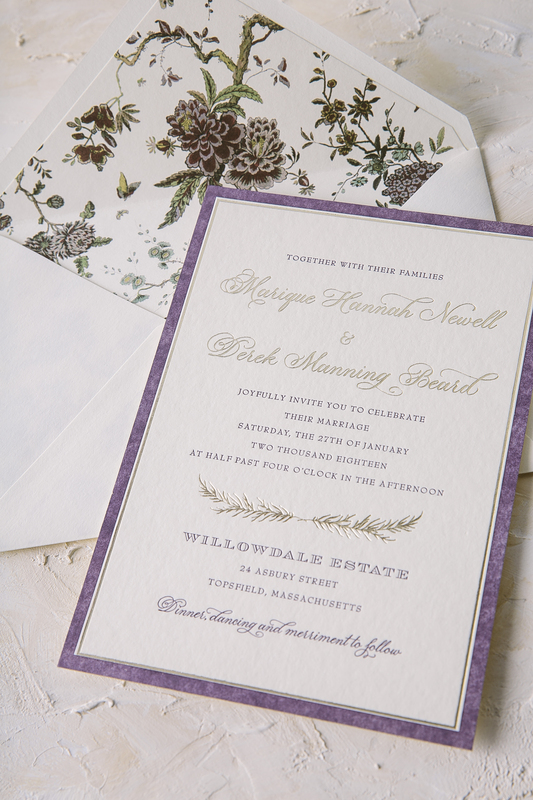 botanical foil stamped wedding invitations reflected the aesthetic of their venue beautifully. 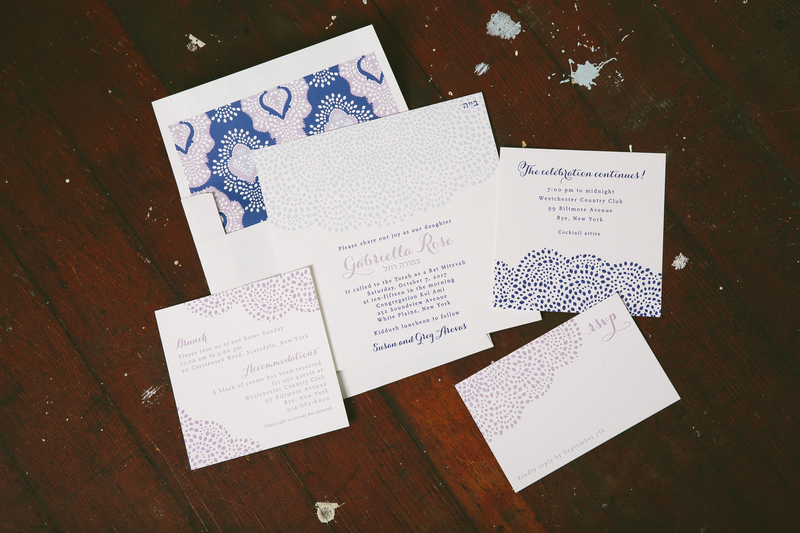 A plum letterpress border and a thin tawny matte border added a subtle touch of color yet still complimented the custom pattern scattered within the suite. 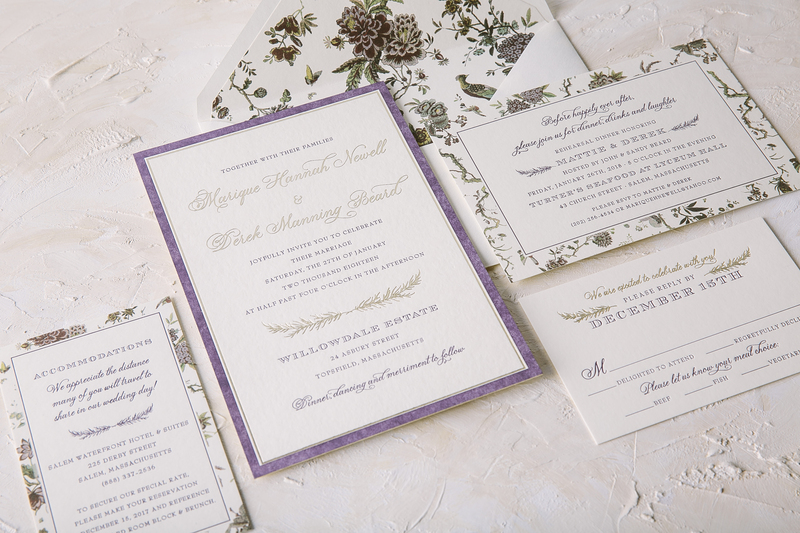 This Haynes set included a coordinating reply card, rehearsal dinner card and accommodations card, all carrying botanical motifs throughout – including the envelope liner as to wrap everything up. This stunning suite wouldn’t have been possible without the help of our friends at Gus and Ruby! Our Barnesly design is always a crowd pleaser and we have no doubt Helene’s guests were completely wowed too. 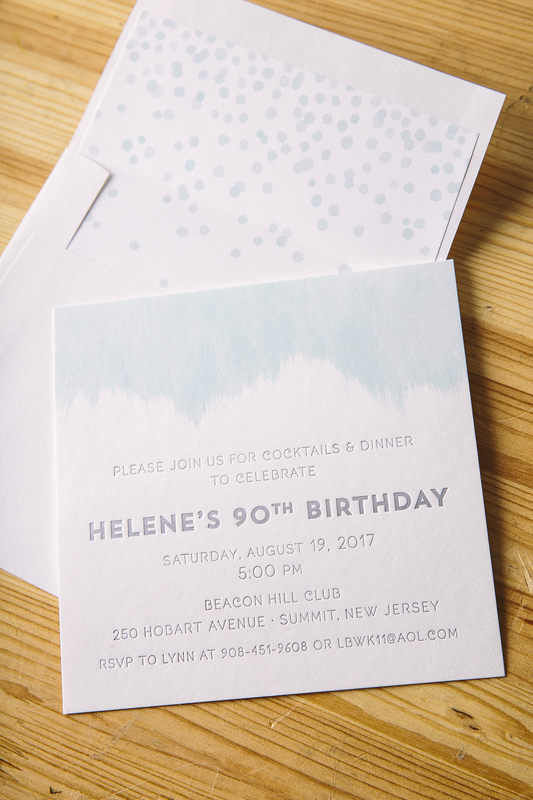 These foil stamped birthday invitations with watercolor accents were made with a big birthday celebration in mind. 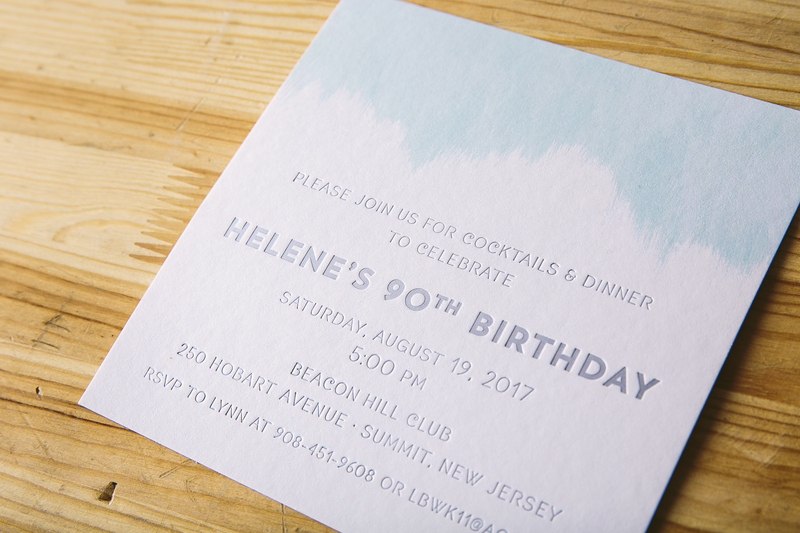 Cloud and Silver Matte created a serene yet celebratory color combination, letting guests know that even though Helene is turning 90, she is still young at heart. Our bubble pattern mimicked the champagne that will surely be popped at the party to come. Our Keira design was customized for Sydney’s big celebration this past October. 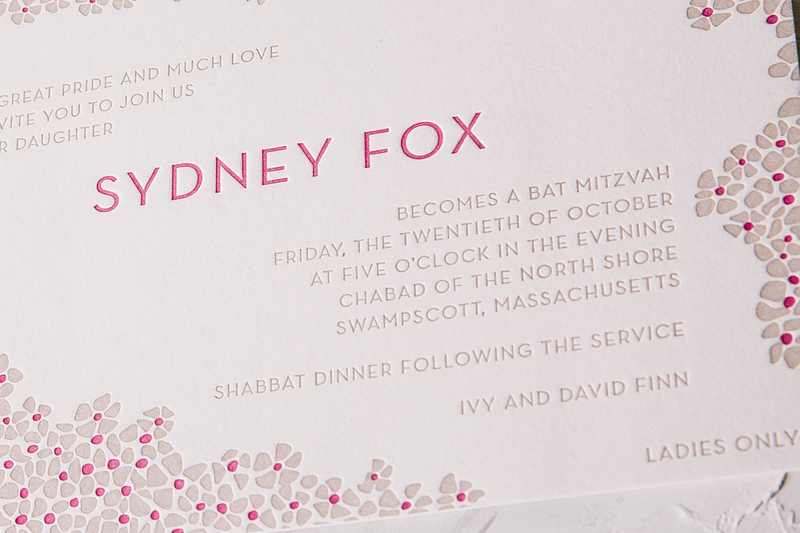 These sweet letterpress Bat Mitzvah invitations had just enough of a feminine touch printed in Hot Pink with neutral Jute accents. 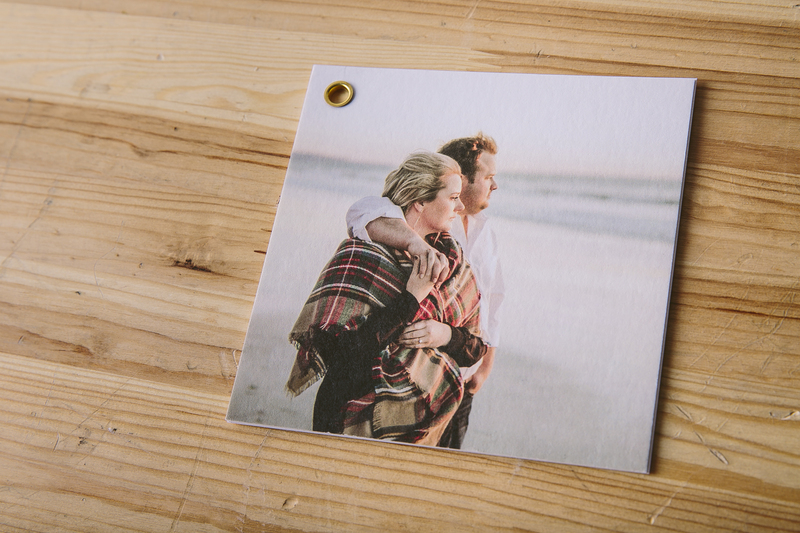 The reply card was kept simple and clean in Jute for guests to leave their own message. 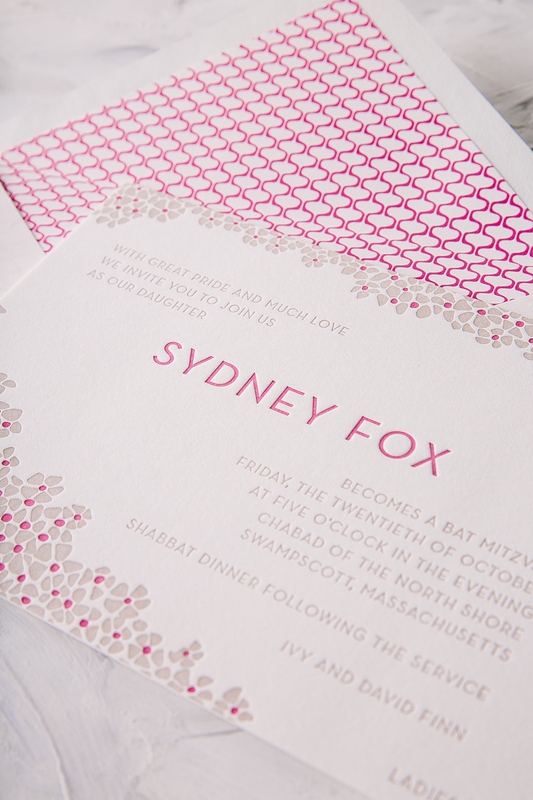 The geometric Finn pattern in Hot Pink added tasteful contrast to a softer suite as the finishing touch. 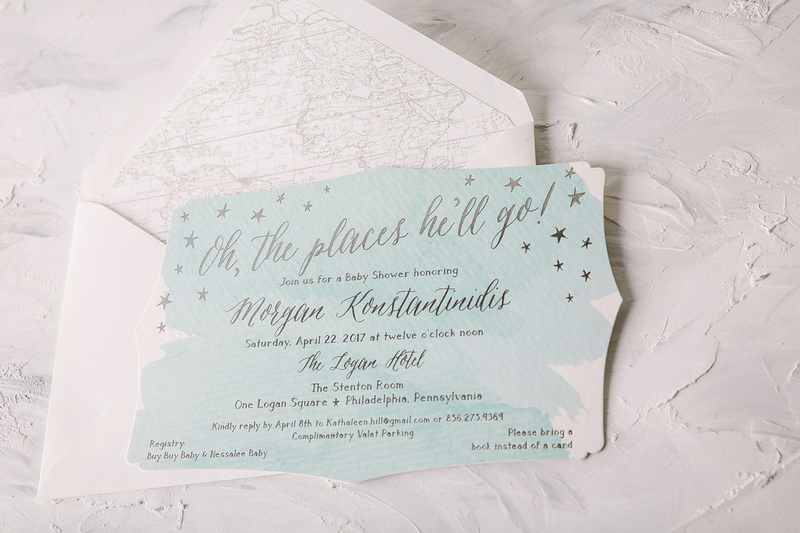 Thanks to the help of our friends at the Papery of Philadelphia, we were able to create these darling watercolor baby shower invitations for Megan. Our Vista design has never looked sweeter with the addition of little star motifs and a die-cut shape added to create a more youthful feel. 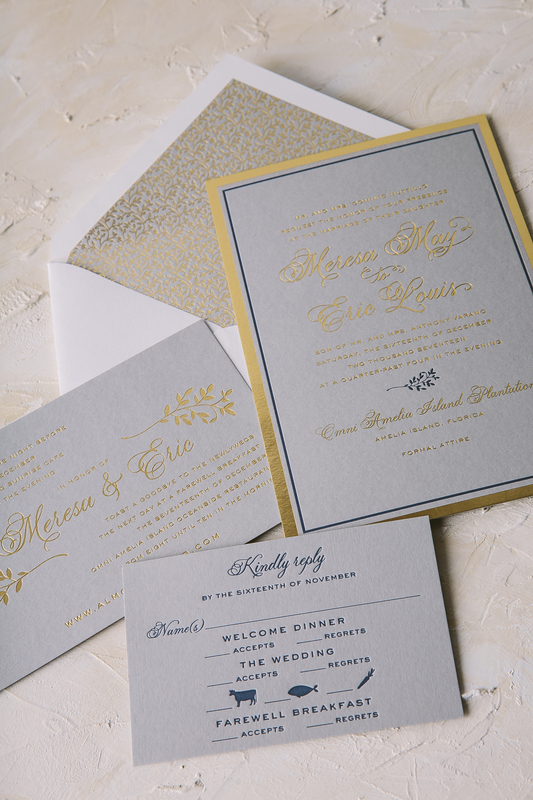 The wording popped off the page in our Platinum Shine foil with a soft, subtle watercolor background behind it. With a nod to Doctor Seuss written across the top of the page and a map of the world as the envelope liner, it’s easy to see that everyone wishes a big, bright future for this little boy to come! 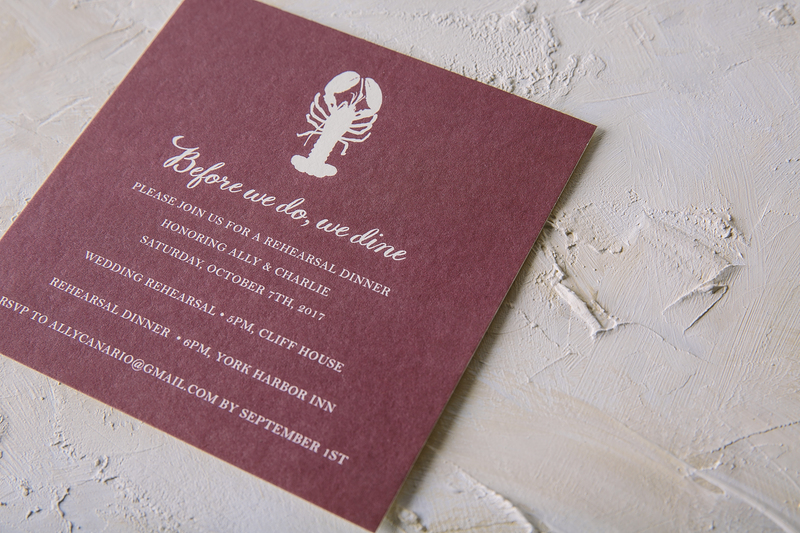 We can’t imagine a better fit for a wedding in Cape Neddick, Maine than the design chosen for Allyson and Charles. 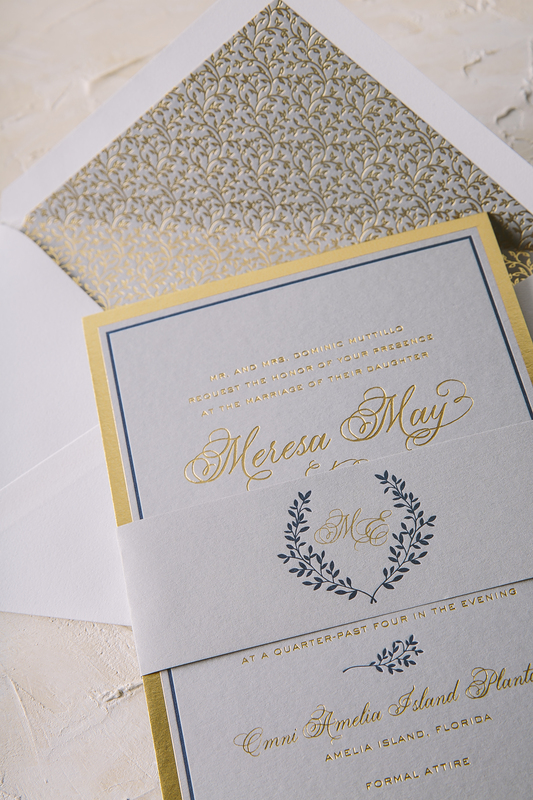 These nautical foil stamped wedding invitations set the tone for their wedding at The Cliff House, a beautiful venue with breathtaking views of the sea from every angle. 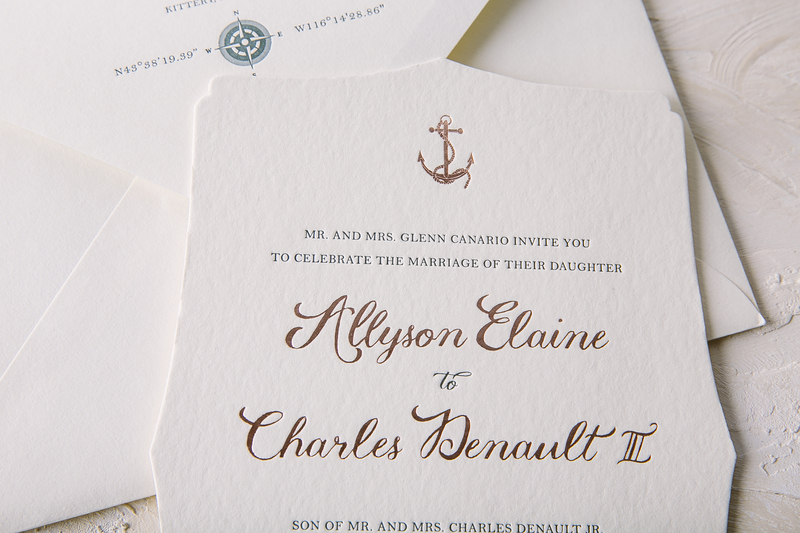 It’s only appropriate that the invitation was printed in Midnight letterpress as a nod towards the nautical affair, while accents of Rose Gold Shine gave the invitation an extra touch of elegance. The Plymouth die-cut shape added some extra interest to the design as well. 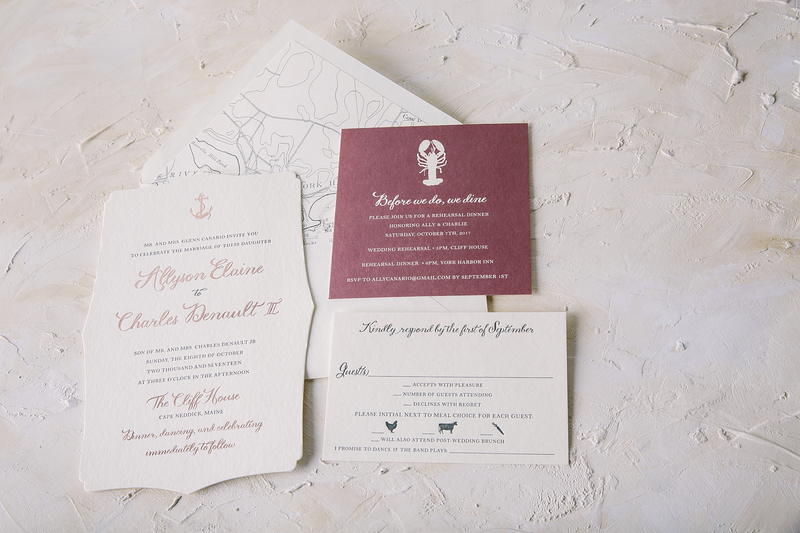 A custom map pattern of the surrounding area was supplied for the lining of the envelope printed in Midnight to coordinate with the rest of the suite while little touches of seafaring motifs were included within the set in a tasteful way as well. 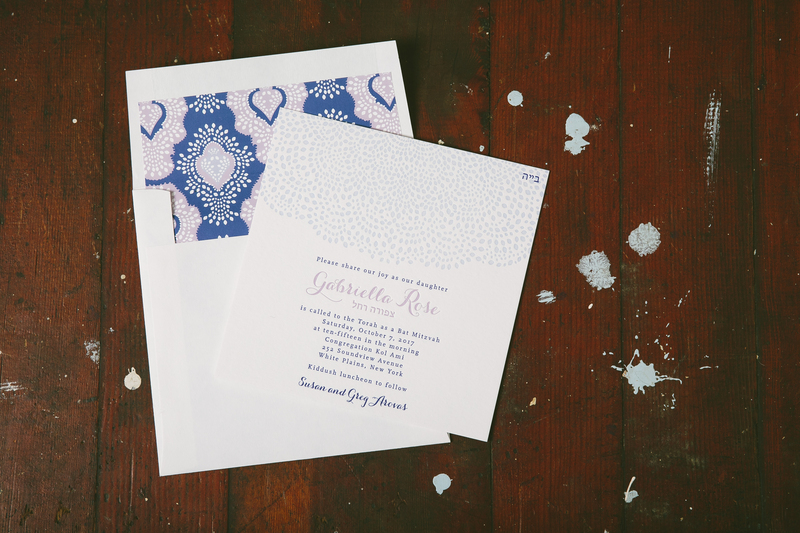 The rehearsal dinner invitation was printed digitally in our Sangria ink color which added an unexpected but eye-catching twist to the invitation suite. We always look forward to working with Gus and Ruby on all their gorgeous invitation suites and this set was certainly no exception to that! 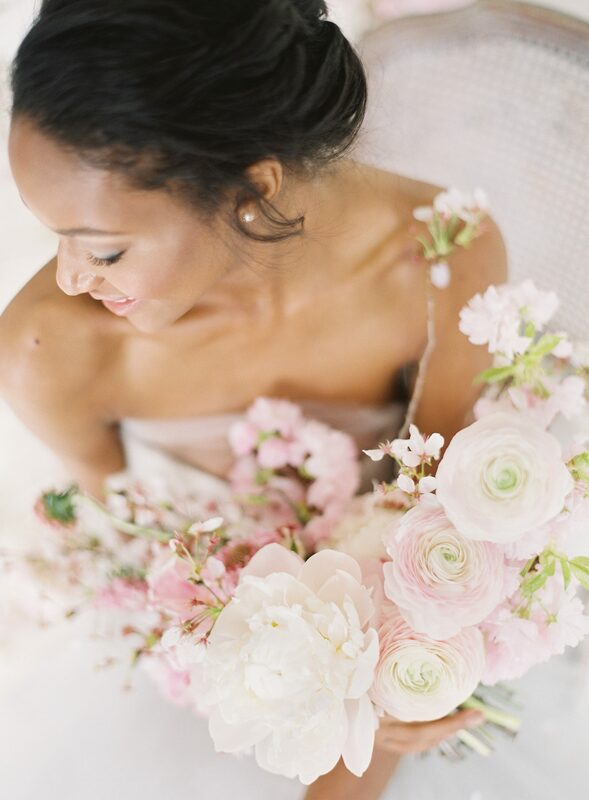 This past October Jori and Christopher were married at Architectural Artifacts in Chicago. 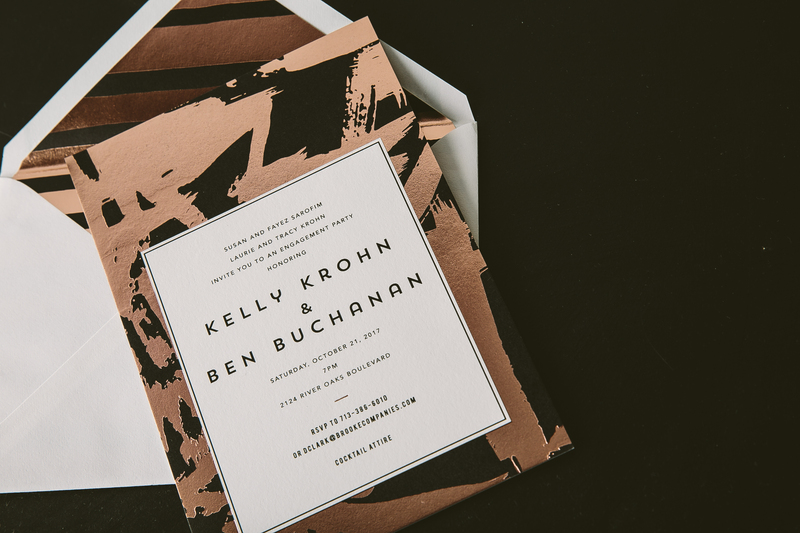 Their venue is filled with a combination of formal yet vintage touches throughout and their refined letterpress wedding invitations reflected the space perfectly. 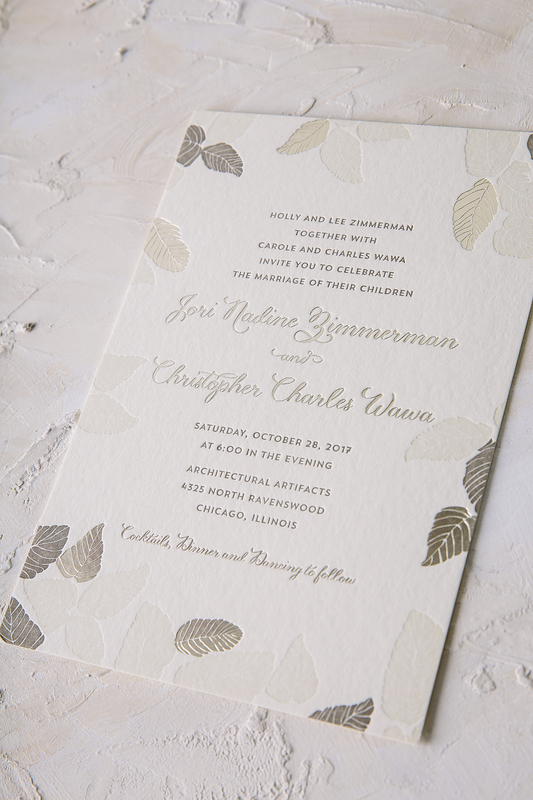 Our Bristen design originally uses Sand letterpress only on the leaf motif, but this couple decided to change it up by throwing Taupe and Tawny Matte accents within the mix as well. 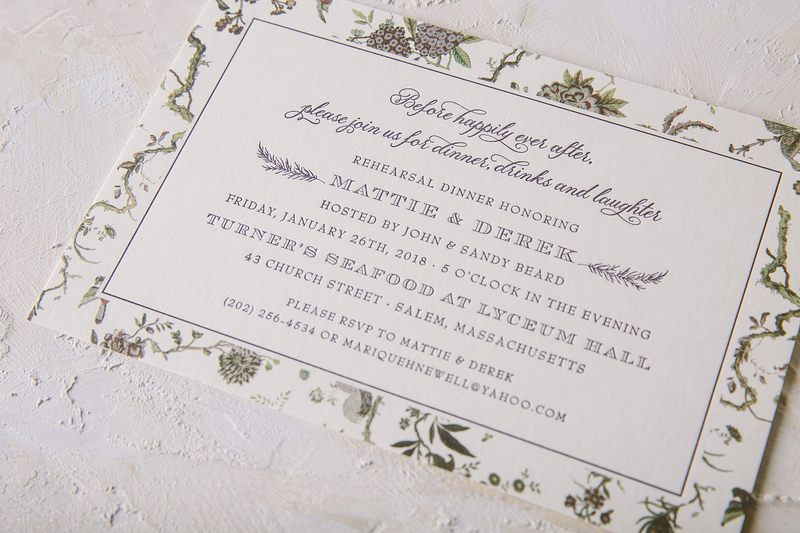 To give the traditional invitation layout a little something extra, Tawny Matte was also added to the names of the bride and groom to make them shine among the rest. 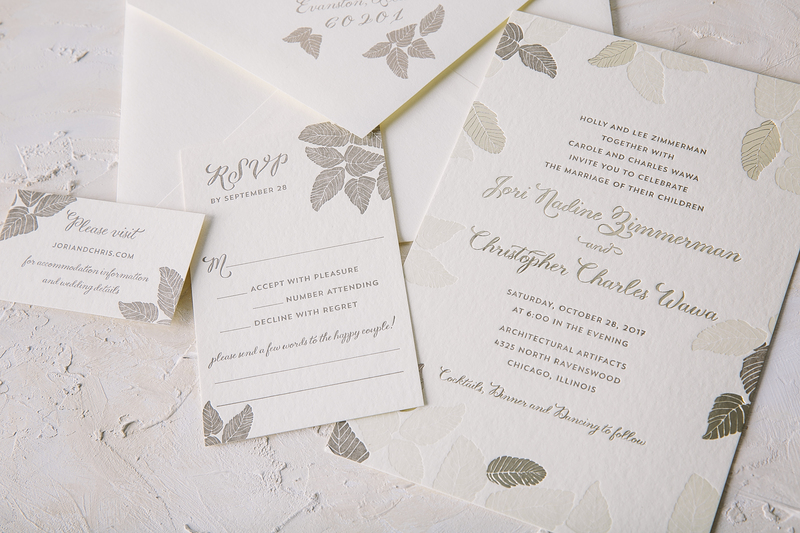 Guests will find the same leaf motif added throughout the rest of the set to keep everything cohesive and interesting to the eye. Thanks to the help of Quintessence Fine Papers and Gifts, we were able to create an incredibly sweet suite. We can never get enough of patterns that have something to say. Kelly and Ben put their own flair on our Flynn design to announce their engagement to their friends and family this part October. 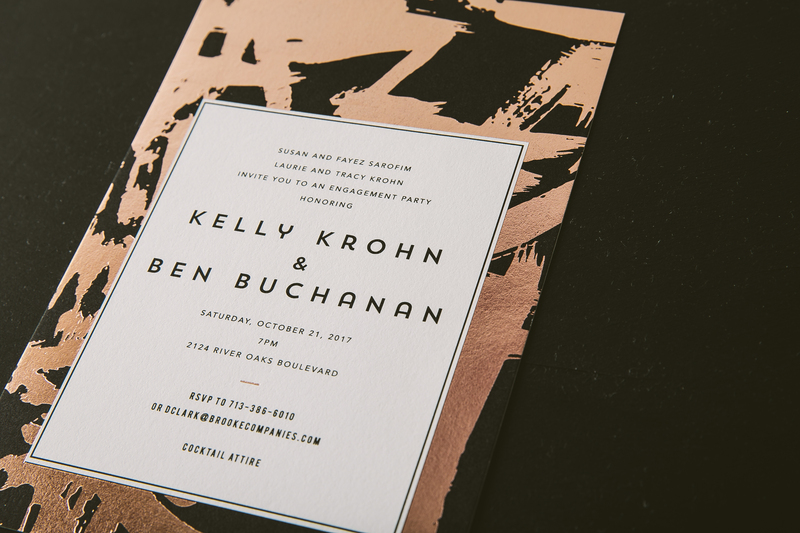 These modern rose gold foil stamped engagement invitations are truly eye catching with bold geometric patterns framing the page. 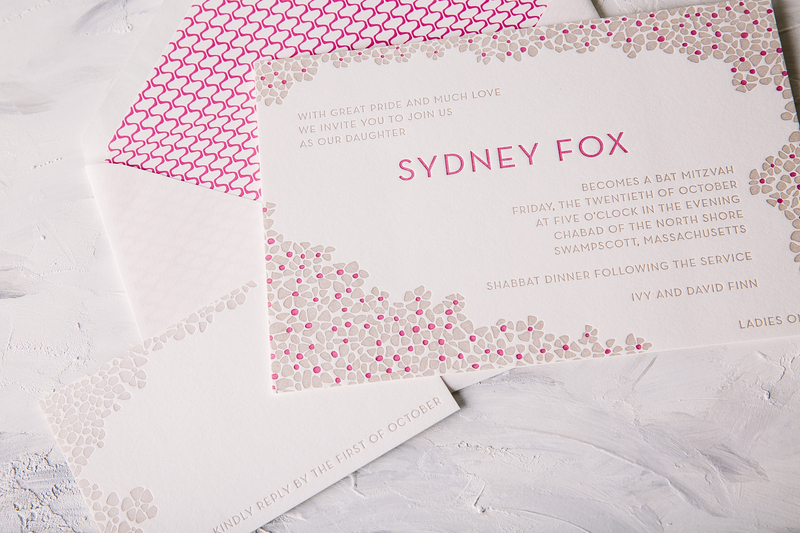 A corresponding foil envelope liner pushed the envelope even further with a varying pattern that still complimented the invitation design effortlessly. 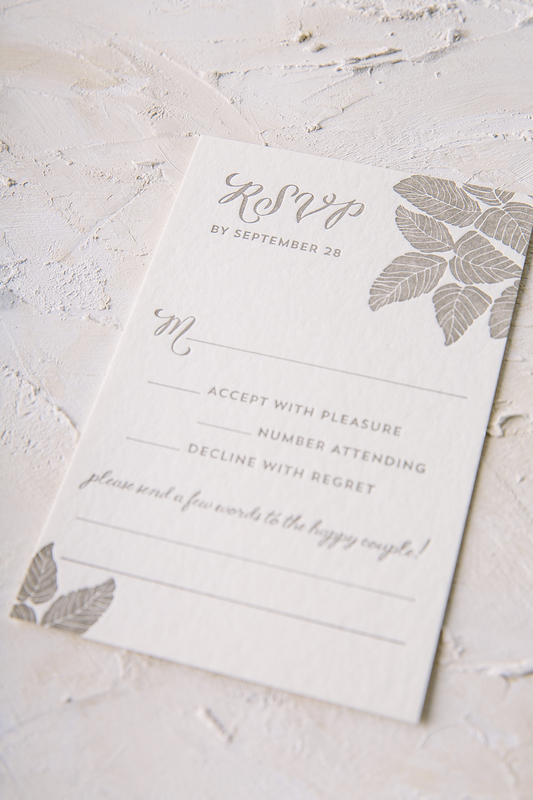 This show-stopper couldn’t have come together without the help of our friends at Events and we can hardly wait to see what their wedding invitation suite will look like to come! We worked with Sweet Paper to create these letterpress save the date booklets for Allie and David based on our Prescott design. 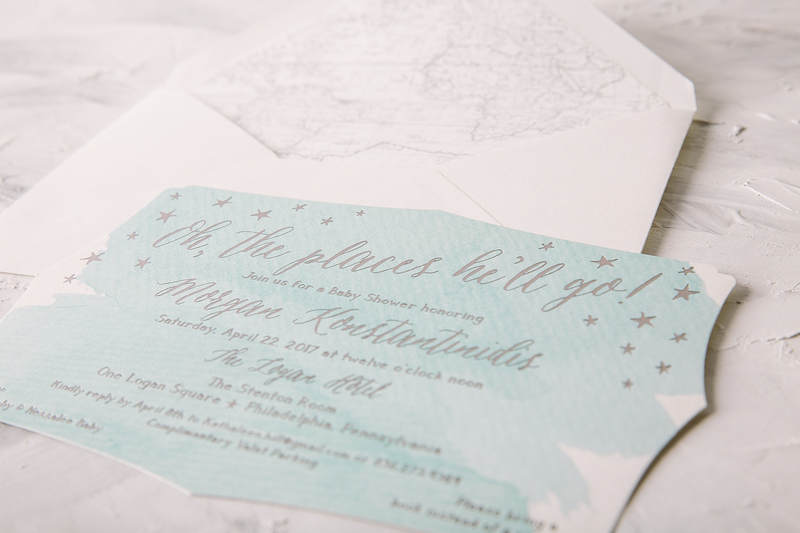 They decided to use our Pool letterpress ink color for their wording which mimicked the serene ocean color in the photo chosen for the front page of their grommeted piece. The third page of the booklet even contains a list of accommodations to ensure that their guests book ahead of time to avoid booking during busy season in Charlottesville. 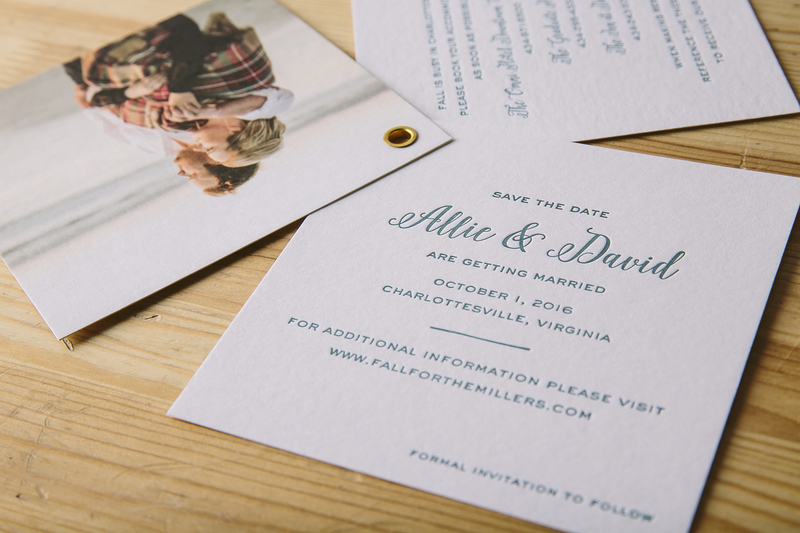 We have no doubt Allie and David’s wedding will come together just as sweetly as their save the date! We always love seeing what kind of Rainier customizations our clients will dream up next. 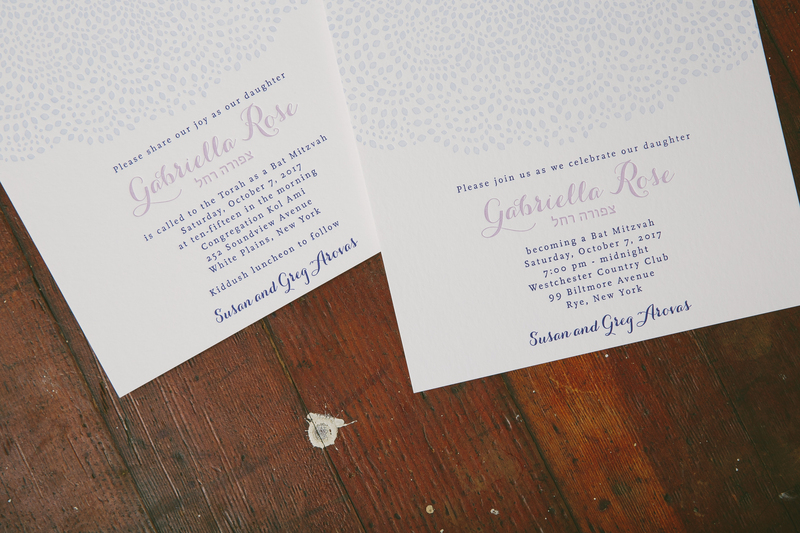 These pretty purple and blue letterpress Bat Mitzvah invitations are a perfect example of a harmonious color combination. Pansy, Gossamer, and Azure all came together in different ways throughout this suite, yet still tied back to the original invitation color palette. The Rainier pattern was another consistent element used in different ways that created visual interest and gave each card a sense of individuality. To give the set an extra dose of playfulness, an envelope liner was added to tie all the colors and pattern together effortlessly.